November 4, 2014, San Diego, CA-The most anticipated off-road viral video of 2014, “XP1K2” went live today at http://youtu.be/jxTvMaJBT3c. 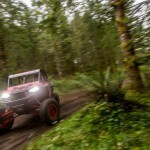 UTVUnderground.com and motorsports production powerhouse Mad Media hit the launch button this morning after debuting the new video to a crowd of thousands at Polaris Camp RZR West, in Glamis, California over the weekend. 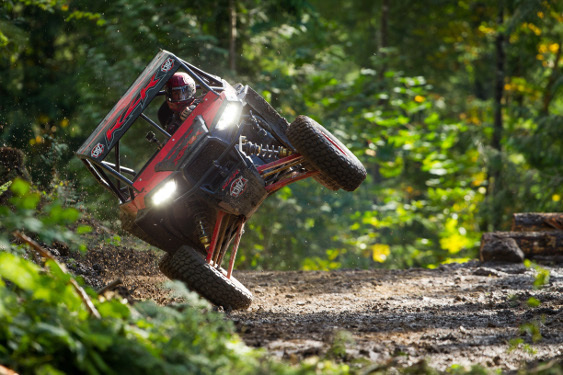 “XP1K2” is a seven-minute onslaught of intense off-road road action, set in a massive 600-acre forest near Mt. Baker, Washington. 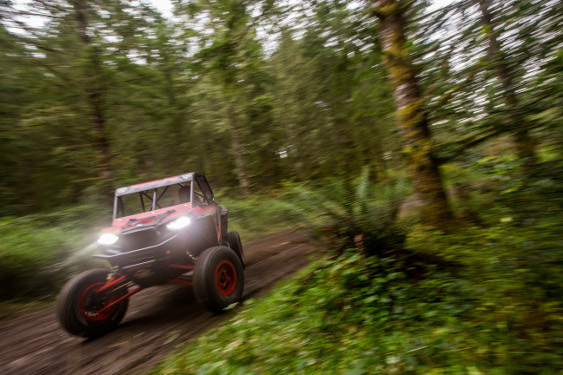 The video stars Off-Road Racing Champion RJ Anderson, driving a custom Holz Racing built Polaris RZR XP 1000 Side-by-Side (SxS), complete with a Polaris ProStar® 1000 Muzzys Performance engine and custom Walker Evans racing shocks. 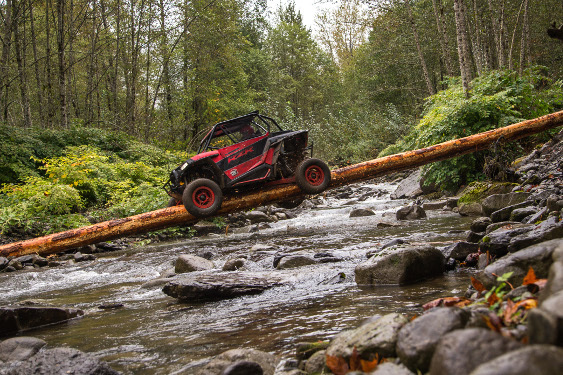 The “XP1K2” crew, including Tony Vanillo and his team of dirt and ramp engineers at the Off-Road Management Group, transformed the remote wooded location into a stunning array of creative obstacles, which included more than 20 natural terrain and man-made works of (terrifying) art. 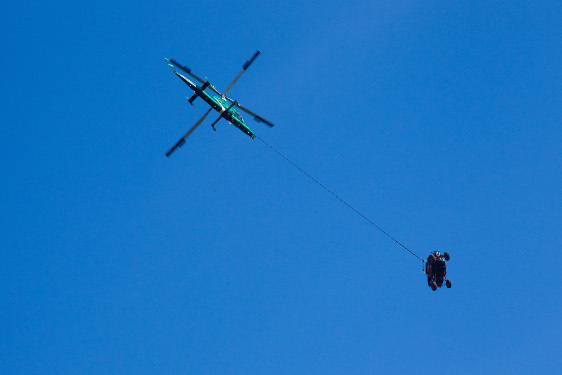 Spoiler alert – RJ Anderson reclaims the world record for a distance jump in a SxS – and does so by clearing a death-defying 100-foot gap! More than a year of planning went in to the development and execution of the “XP1K2” campaign. It took the build team of 10, more than a month to carve out the heart-stopping playground as multiple obstacles featured hand built “ladder trail” which required two to three days each to weld, cover in wood and secure safely. The Mad Media crew of 40 then spent 14 days on location battling wind, rain, mud and fog to capture each of their incredible imagined obstacles. “We wanted every stunt in “XP1K2” to be sketchier and more gnarly than our first video. 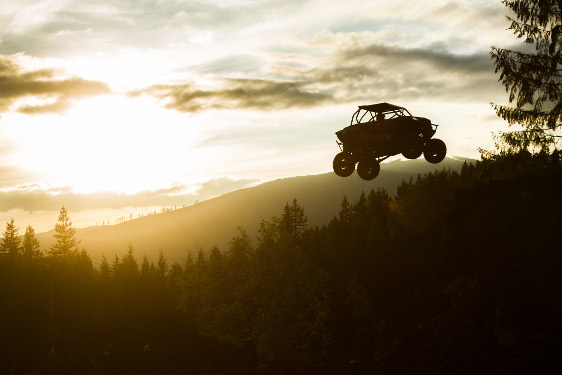 Bigger jumps, bigger gaps, crazier driving…it was all about showing the viewer that RJ is constantly on the edge of disaster,” said “XP1K2” Co-Director and Mad Media CEO Matt Martelli. The setting for “XP1K2” was no accident. The die-hard SxS enthusiasts that frequent the forums on UTVUnderground.com have been begging for something relatable (like a full blown trail video), since XP1K went live last year. Next up on the “XP1K2” calendar is a Director’s Cut, which will include loads of extra footage not used in the main clip – cut to an over-the-top soundtrack. An all GoPro clip and “Making Of” film are in the “XP1K2” post production pipeline as well.